Argumentation theory is a distinctly multidisciplinary field of inquiry. It draws its data, assumptions, and methods from disciplines as disparate as formal logic and discourse analysis, linguistics and forensic science, philosophy and psychology, political science and education, sociology and law, and rhetoric and artificial intelligence. This presents the growing group of interested scholars and students with a problem of access, since it is even for those active in the field not common to have acquired a familiarity with relevant aspects of each discipline that enters into this multidisciplinary matrix. 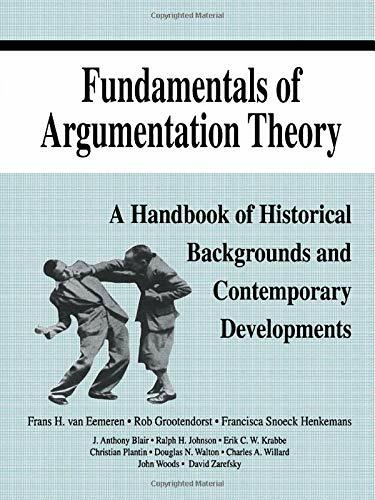 This book offers its readers a unique comprehensive survey of the various theoretical contributions which have been made to the study of argumentation. It discusses the historical works that provide the background to the field and all major approaches and trends in contemporary research. Argument has been the subject of systematic inquiry for twenty-five hundred years. It has been graced with theories, such as formal logic or the legal theory of evidence, that have acquired a more or less settled provenance with regard to specific issues. But there has been nothing to date that qualifies as a unified general theory of argumentation, in all its richness and complexity. This being so, the argumentation theorist must have access to materials and methods that lie beyond his or her "home" subject. It is precisely on this account that this volume is offered to all the constituent research communities and their students. Apart from the historical sections, each chapter provides an economical introduction to the problems and methods that characterize a given part of the contemporary research program. Because the chapters are self-contained, they can be consulted in the order of a reader's interests or research requirements. But there is value in reading the work in its entirety. 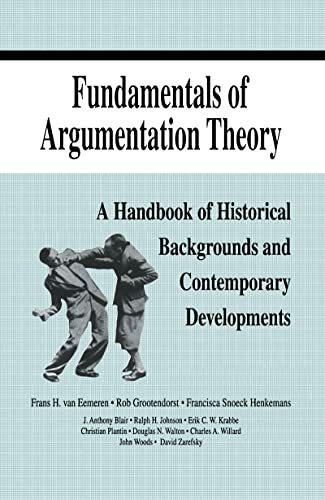 Jointly authored by the very people whose research has done much to define the current state of argumentation theory and to point the way toward more general and unified future treatments, this book is an impressively authoritative contribution to the field.